If you eat foods common in the American Standard Diet, there’s a good chance you’re not treating your body well. In Genesis 1:29, God tells us what kinds of foods we should be eating, but few of today’s modern meals adhere to this guidance. Added sugars have no place in God’s Original Diet, so it should be no surprise that sugary soft drinks will make you gain weight. In fact, a can of soda has no nutritional value at all. According to Healthline, calories derived from sugar do not make you feel full. Therefore, your body absorbs additional calories, but still wants more. Meanwhile, high levels of sugar can lead to serious conditions such as type 2 diabetes, heart disease and liver disease. A staple of the Standard American Diet, pizza is available on every other street in just about every town throughout the country. Pizza may contain a few vegetables, but the other ingredients have little nutritional value. Plus, most pizzas from fast-food restaurants are very high in calories, which contribute to weight gain. White bread is made from refined wheat that causes your body’s blood sugar levels to spike after consumption. The gluten contained in bread can also trigger various immunodeficiency diseases such as fibromyalgia and multiple sclerosis. Though whole-grain breads are often advertised as healthy, they are really only healthy in relation to white bread. 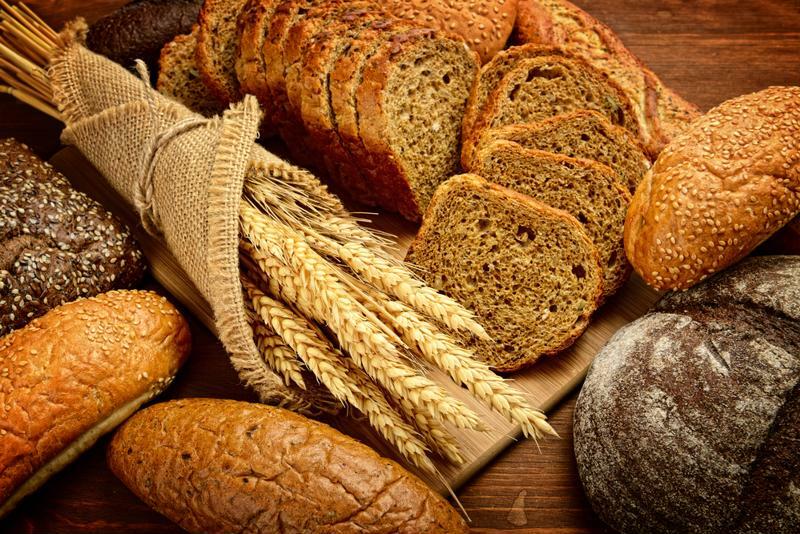 According to Healthline, whole grain breads also cause blood sugar levels to spike. The fiber and nutrient benefits do not outweigh this concern. The nutrients found in whole-grain bread can be easily obtained from other natural foods. Bread causes blood sugar levels to spike. Most fruit juices found on grocery store shelves have only a little more nutritional value than a soft drink. In fact, many juices contain just as much added sugar as cola. Even 100 percent fruit juices don’t contain enough nutrients to offset their sugar content. Consider replacing your daily glass of fruit juice with a supplement such as BeetMax, which is made from powdered organic beets and brown rice. This supplement is designed to stimulate lymph gland activity and promote liver, bladder and kidney health. Not only do dairy products contribute to systemic inflammation, but they are also high in fat. Health Magazine reported that a single serving of plain yogurt with fruit contains approximately 150 calories and 26 grams of sugar. 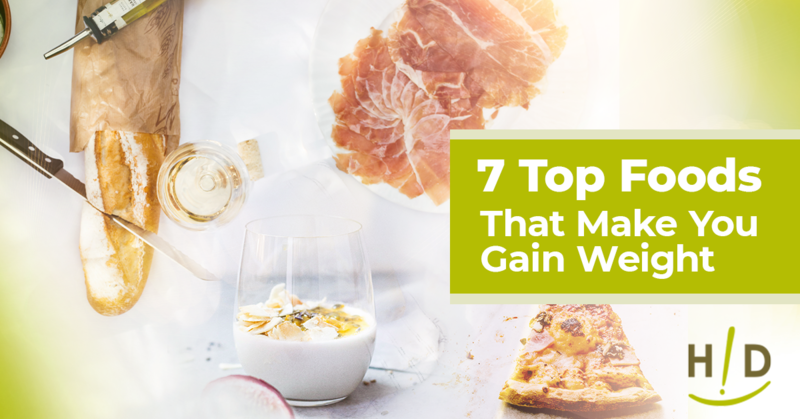 Removing dairy and other animal products from your diet can help you maintain a healthy weight. As with fruit juice, commercial salad dressings contain a lot more sugar than you might imagine. Adding these to a healthy leafy salad is akin to pouring sugar on your vegetable plate. Consider ditching store-bought dressing and make your own. A simple one-to-one ratio of olive oil and balsamic vinegar tastes great and is much less likely to contribute to weight gain. Red meat tends to be fatty and its protein contributes to inflammation. Chronic inflammation can make you feel fatigued and may make chronic conditions worse. Red meat should be avoided at all costs. Get your protein from raw seeds and nuts instead. If you’re ready to make the switch to God’s Original Diet, consider supplementing your meals with organic nutrients. The Get Started Kit is the perfect introduction to the Hallelujah Diet. This comprehensive kit can help you reduce toxins in your system, reduce nutritional deficiencies and help you feel better on a regular basis. This was a good blog! The information was good, I did not know about the store bought dressings was load with sugar and also I did not know this about yogurt that Health Magazine reported that a single serving of plain yogurt with fruit contains approximately 150 calories and 26 grams of sugar. I have been lost interest in Red Meat and soft drinks. Im still working hard to stay away from bread and fruit juices. Thanks again this was some good information. Ha e you tried Ezekiel bread? I have head of the Ezekiel bread, but never have tried it. Thanks and I will try it. I tried Ezekiel bread but found it too heavy and coarse to chew. I have an intolerance to yeast so rarely eat bread of any kind. Even most crackers have yeast. Great advice on what foods to avoid to maintain a good healthy balance and weight! Pizza is fine “if” no cheese is added and vegetables are the toppings. Yoghurt is toxic IF made with dairy, however it is possible to make non dairy yoghurt which is fine to consume. Salad dressing you make is fine… but I’d ditch the oil. Oil, well fats period, are pretty dangerous for your heart. Read Dr Caldwell Esselstyne’s book Prevent and Reverse Heart Disease.